A full set of all Bolts, Nuts, Washers, PCB Spacers (for Falcon LS3/5a transformer style PCB's) , and Front Board Mounting Screws designed to be used with the Falcon LS3/5a Cabinet Kit. 1 set per pair of cabinets required. The Falcon LS3/5a Cabinet Kit is already pre-drilled and countersunk for this set. Also suitable if you are making your own cabinets. 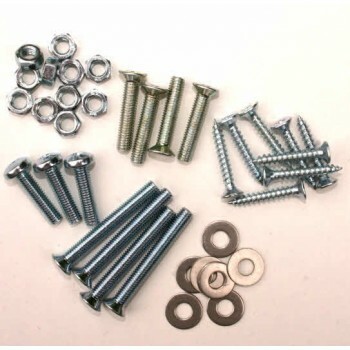 Supplied with the necessary nuts and bolts to mount LS3/5a crossover PCB.